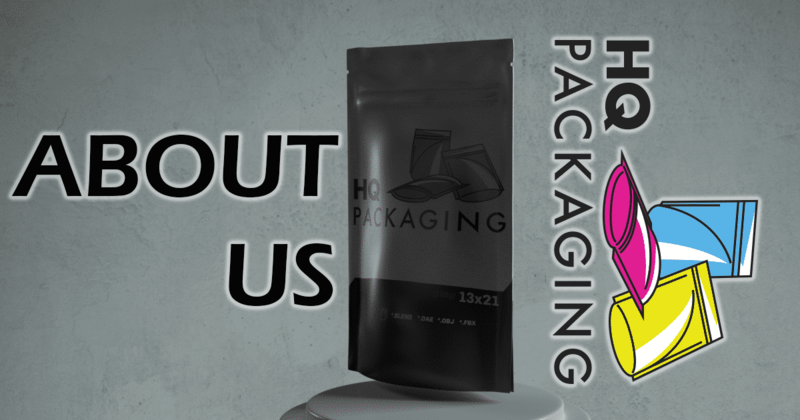 HQ Packaging was founded in April of 2012, borne of the idea that a few hard-working and entrepreneurial guys, with very different backgrounds, could bring a diverse, disruptive, and most importantly, ethical presence to the packaging world. Over the last several years, we have slowly built ourselves into a premium provider of high quality packaging: custom printed bags and unprinted mylar foil bags at highly competitive prices. Despite our growth, we have stayed faithful to the scrappy low-overhead, do everything for our customers model which we employed from the start. We think and operate like a small business, and as such, we are well positioned to integrate with, and bring unanticipated value to, your small business (or your medium or large business). We know that the last thing you need to worry about is the minutia of packaging considerations – as a result, we learn about your business and worry about it for you. We truly are a “plug and play” packaging company, and a strong partner to those who do business with us. HQ Packaging serves three core functions. The first, and most straightforward, function of HQ Packaging is to sell unprinted bags that we hold in our warehouse in Los Angeles, ready to ship. We literally have millions of bags in stock comprised of at any time between thirty and forty different unique configurations. We have different sizes, different colors, different openings (top or bottom), with or without bottom gusset (stand up pouch), with or without clear side, and other less common attributes. These are sold on our website with tiered pricing per SKU. Finally, and this is something that is not explicitly referenced elsewhere on this website, we rapidly source factories for our customers who may not have as much experience dealing with overseas vendors. We have strong relationships with factory owners and managers, and can be referred through a friendly network of complementary product manufacturers; boxes, blister packs, dispensary exit bags, child resistant packaging, jars, point of purchase displays – whatever. We leverage our people on the ground and our existing shipping infrastructure to help tailor a custom, agile, and smart solution for our customers. We live and die by our reputation. And our reputation is maintained by treating our customers and suppliers well. Every business is unique. We take the time to learn about your product, your market, and your operational reality in order to provide you with unanticipated value. Our team is well-seasoned and has helped bring over 1,000 custom bags to market.